(The article below was written by the Open Stellenbosch collective and published in the City Press this Sunday the 26th of April 2015, and is also available on Daily Maverick). I’ve written about this topic myself and feel quite strongly that not enough is being done to diversify the staff and student bodies at Stellenbosch and particularly in changing the culture at the University, hence posting the article here. “Many in South Africa are aware of the RhodesMustFall movement at UCT, and the problems of institutional racism it has highlighted. These problems are deeply entrenched at Stellenbosch University, where Open Stellenbosch was created to challenge the hegemony of white Afrikaans culture and the exclusion of black students and staff. Open Stellenbosch is a movement of predominantly black students and staff at the University who refuse to accept the current pace of transformation. In 2013, only 3.5% of all professors at the University were black, while 86% were white. In fact, there are more professors named ‘Johan’ than there are black professors at our institution. Is this really what transformation looks like 20 years after Apartheid? The fact that we as black students on campus have to take matters into our own hands to change the oppressive institutional culture at Stellenbosch is an indictment of the University management. We do not believe that those in the SRC, the Senate or the Council understand the weight of normalised oppression that we experience at this overtly white University. Although our institution claims that “continuous transformation is part of the core being of the University”, this could not be further from our everyday reality at Stellenbosch. We are tired of empty promises and goals that are perpetually postponed. We have been having these conversations for over a decade now, and it is clear that the management at Stellenbosch has been operating in bad faith. Many promises, little action. There was the “Strategic Framework” of 1999, the “Vision 2012” document of 2000, the “Transformation Strategy” of 2008, the “Overarching Strategic Plan” of 2009, the “Quality Development Plan”, the “Employment Equity Plan”, the “Diversity Framework”, and so it goes on. These have all failed because of a wholesale lack of political will to implement them – both then and now. No student should be forced to learn or communicate in Afrikaans and all classes must be available in English. The institutional culture at Stellenbosch University needs to change radically and rapidly to reflect diverse cultures and not only White Afrikaans culture. The University publically needs to acknowledge and actively remember the central role that Stellenbosch and its faculty played in the conceptualisation, implementation and maintenance of Apartheid. Every day students and staff who do not understand Afrikaans are excluded from learning and participating at Stellenbosch University. As black students we are frequently asked, “Why do you come here if you can’t speak Afrikaans?” This question highlights the pervasive and problematic sense of ownership that some have over this University. 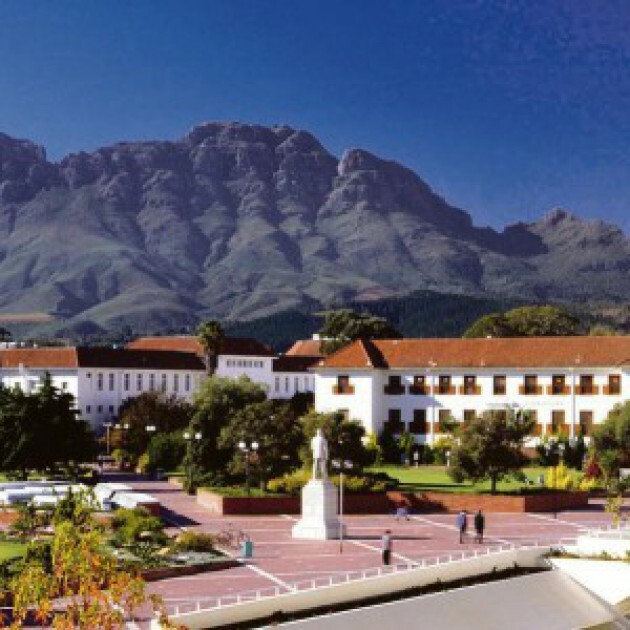 Stellenbosch – like all universities – is a public institution. This is not an Afrikaans university. It is a South African university which offers instruction in Afrikaans and (to a lesser extent) English. We have personally experienced countless instances of this institutional racism, including being forced to ask our Afrikaans-speaking peers to interpret what “Huiskomitee” members are saying in residence meetings. When we are allocated rooms, we are intentionally paired with other black students. Initiation at our residences involves explicit racism, homophobia and intimidation. It’s telling that we actively discourage our black school-leaving friends from considering Stellenbosch as a place to study. This is in an attempt to spare them the pain and humiliation of being silently subjugated by a passively hostile culture of white Afrikanerdom. These exclusionary practices are not limited to students only. Some academics are forced to sit through meetings conducted in Afrikaans where they do not understand anything and yet are required to be there. These norms help explain why black faculty find Stellenbosch to be a hostile environment that privileges white Afrikaans culture. This privileging is most obviously reflected in the racial composition of teaching staff at the University (see graphic). This entry was posted in Uncategorized and tagged Stellenbosch University. Bookmark the permalink. Yes, thanks Kirsty. Important typo there. I’ve changed it now. Thanks for spotting it! I am not sure if this is a typo, but your article says that’feel quite strongly that enough is being done to diversify…’ , I think you mean that not enough is being done?